As you can see in the diagram above, this keyboard is shown as a notebook keyboard, an iPad keyboard, and as a separate keyboard, indicating the possibility of broad application of this technology. It also shows a music-specific interface in lieu of keys in the picture at the top. I personally find this application of a virtual input device the most exciting. Giving developers the ability to augment the interface options on the fly to suit the application could open up new avenues for creative interfaces and could elven fundamentally change the way we work with our computers. 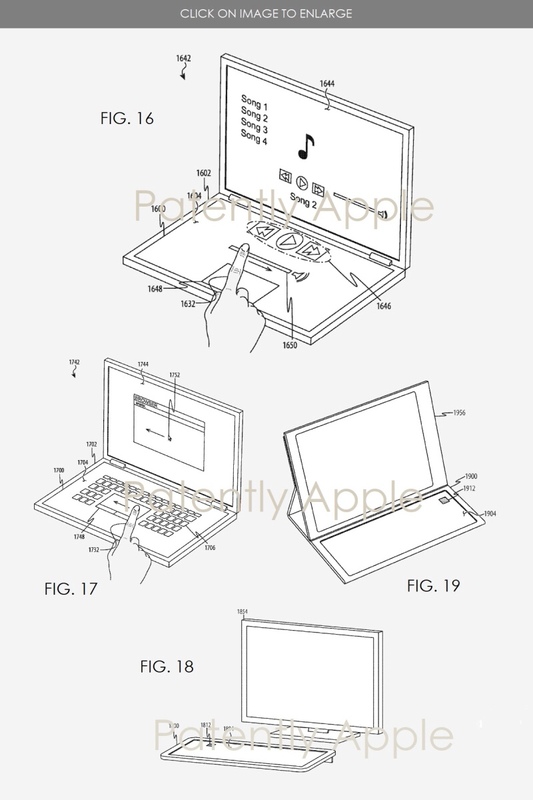 As you can see above, the design calls for many “Haptic Actuators,” which can provide feedback based on how the keyboard is configured. These would perform the same way that we are used to with current Apple trackpads, and with the iPhone 6S and newer and the Apple Watch with Taptic Feedback. While the design shown here is laid out for a keyboard, I would imagine that developers would be able to target certain areas for other customized interfaces. Getting the correct feel down is critical, but Apple is in a unique position to deliver something interesting in this space. Unlike other manufacturers, they have already developed this technology to a high level, and have shipped several effective Haptic Feedback-enabled devices in mass quantities. If anyone can design and build a virtual keyboard that comes close enough to the feel of the real thing, it is Apple. They have the tech and the supply chain to deliver the number of Haptic Actuators that it would take to make this work. 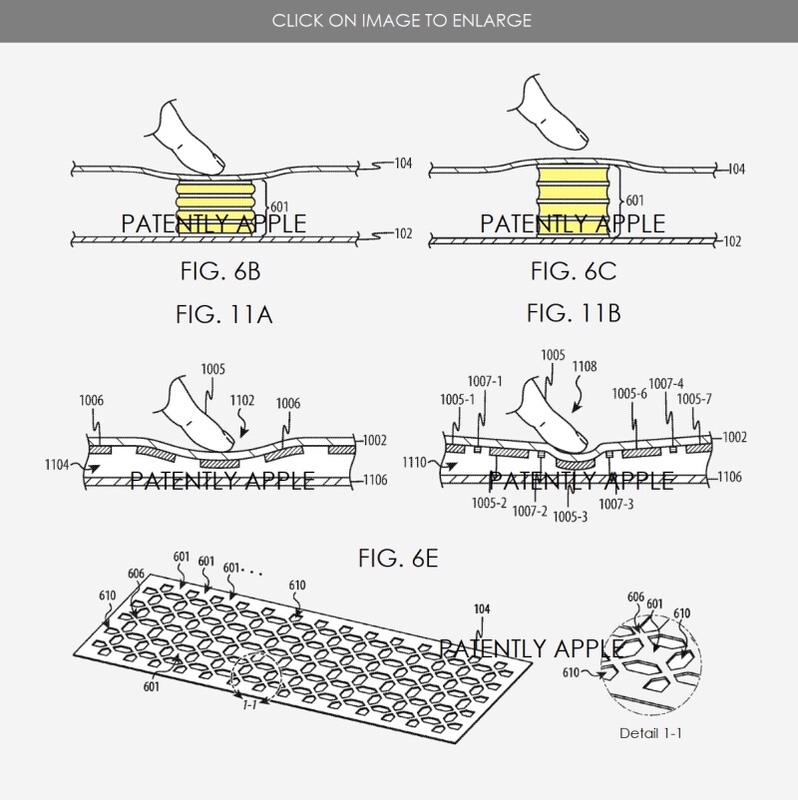 Now it’s just a question of whether these patents are leading toward something else, or a real virtual keyboard that Apple intends to produce and ship. Before I get too carried away, let me remind you that this is just an application. 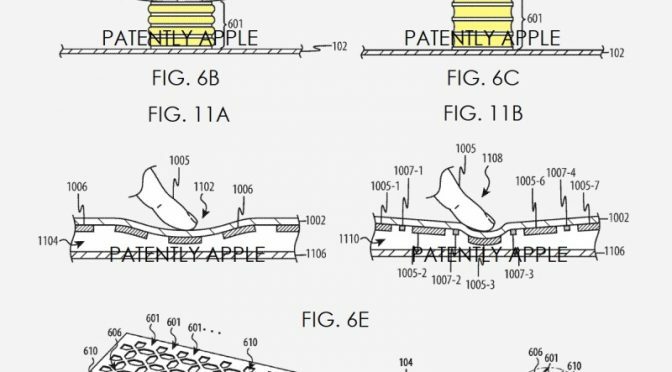 Apple hasn’t been awarded this patent yet, and the application was filed at least six months. This would indicate to me that there isn’t a product using this technology coming in the immediate future. Despite that, it is exciting to think about the interesting products that they can lead to in the future. What do you think about Apple’s interest and investment in virtual interface devices? Are you on board with the possibilities, or are you sticking to hardware keyboards, no matter what? Let me know what you think in the Comments section below, on Flipboard, on our Facebook page, or on Twitter @iPadInsightBlog.